You will fall in love with this very special & well maintained country home in Haiku, Maui on 2+ acres that is very private, peaceful, and boasts beautiful mountain and ocean views! Many upgrades have been completed including brand new LVT flooring, painted inside & out, all new higher end appliances, silestone counters with marble backsplash, lighting, reverse osmosis, and more! The large covered Ipe Deck provides the perfect space to be outside taking in all the beauty & privacy of the country while relaxing and/or entertaining. There are many mature fruit trees incl. Tahitian Palms, Banana, Mango, Lemon, Lime, Guava, & Macadamia Nut & much more space for the gardening enthusiasts on this fenced in lot. The floorplan is flexible & functional and the home is airy & light. The sweet dining room with many windows showing the pretty ocean view & peaceful country is also a delight. The walk-in laundry room w/ a 2nd fridge & storage area is also sure to please & being post & pier, there is also quite a bit of additional covered storage area. The master suite has a side room area that could make for a nice study or nursery. The 3rd bedroom is very large, has it's own entrance, built-in desk/workspace, many windows showing pretty trees & open space, & could provide many uses even extended living with a few more improvements. Currently the owners are using it as their family room and office space. This location is breezy & very comfortable. Hanzawa Store is just around the corner, it's about 6 minutes to Makawao, 15 minutes to Hookipa, 20 minutes to Paia, & 25 minutes to town. The infrastructure is in and ready to hook-up for counter water and this property is number 68 on the County of Maui Priority Water List. With Maui County accessory dwelling changes, you may also be eligible for a 1,200 SF 2nd dwelling. Easy to show with 24 hours notice. Hurry to this one, it's a charmer for sure! 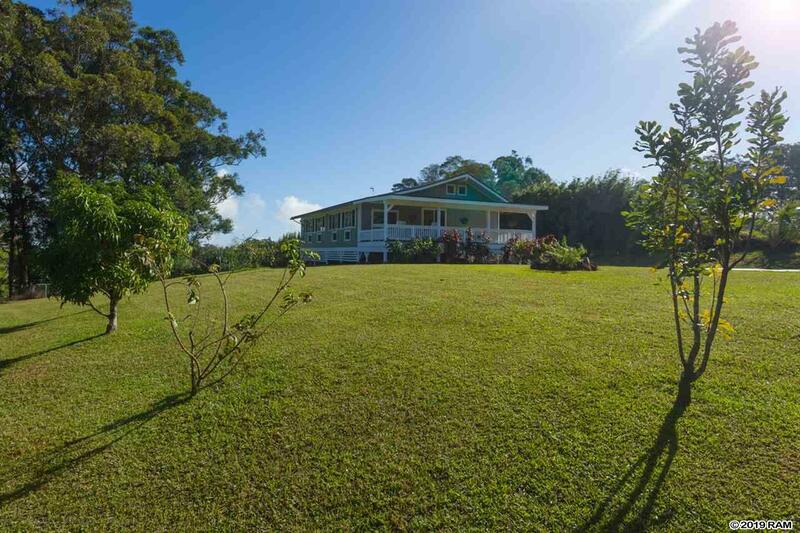 You will fall in love with this very special & well maintained country home in Haiku, Maui on 2+ acres that is very private, peaceful, and boasts beautiful mountain and ocean views! Many upgrades have been completed including brand new LVT flooring, painted inside & out, all new higher end appliances, silestone counters with marble backsplash, lighting, reverse osmosis, and more! The large covered Ipe Deck provides the perfect space to be outside taking in all the beauty & privacy of the country while relaxing and/or entertaining. There are many mature fruit trees incl. Tahitian Palms, Banana, Mango, Lemon, Lime, Guava, & Macadamia Nut & much more space for the gardening enthusiasts on this fenced in lot. The floorplan is flexible & functional and the home is airy & light. The sweet dining room with many windows showing the pretty ocean view & peaceful country is also a delight. The walk-in laundry room w/ a 2nd fridge & storage area is also sure to please & being post & pier, there is also quite a bit of additional covered storage area. The master suite has a side room area that could make for a nice study or nursery. The 3rd bedroom is very large, has it’s own entrance, built-in desk/workspace, many windows showing pretty trees & open space, & could provide many uses even extended living with a few more improvements. Currently the owners are using it as their family room and office space. This location is breezy & very comfortable. Hanzawa Store is just around the corner, it’s about 6 minutes to Makawao, 15 minutes to Hookipa, 20 minutes to Paia, & 25 minutes to town. The infrastructure is in and ready to hook-up for counter water and this property is number 68 on the County of Maui Priority Water List. 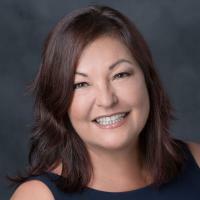 With Maui County accessory dwelling changes, you may also be eligible for a 1,200 SF 2nd dwelling. Easy to show with 24 hours notice. Hurry to this one, it’s a charmer for sure! This beautiful home is located in a special cul-de-sac at the top of Waiehu Terrace offering much open space and incredible Ocean, Haleakala, Central Valley, N. Shore, and W. Maui Mountain Views! The Owners have done extensive improvements including a 130K, 1,344 SF 3 bedroom, 2 bath with great room addition which offers another complete living area. In 2015 a new roof was installed on the main living area with a 34 panel paid off photo voltaic system covering most of the electric costs. There is a large walk-in storage too. Over the years these original owners have loved and cared for this property doing many upgrades including vinyl windows, 2 split a/c systems, shutters, 2 security systems, reverse osmosis water system, water softener system, new toilets, hollow tile fencing and retaining walls, other numerous upgrades, and the exterior was just painted last year. 2 bedrooms were converted to a large and private master suite with a walk-in closet. French doors in the main great room open to a large covered lanai to relax and enjoy stunning views both during the day and night. The room count differs from county records – there are 2 great rooms, 6 bedrooms, 5 full baths, and a den. The yard is perfectly manicured and maintained with pleasant curb appeal. This is a must see property, it’s almost like getting two homes and may be ideal for multiple family living. Located in Central Maui with easy access to schools, medical, shopping, businesses, and entertainment. Brand New Beautiful North Shore Haiku, Maui Home on over an acre of flat all usable land that offers so much – you will be be impressed! The location is off of Hana Hwy., Ocean Side about a mile from Twin Falls in a desired area & provides easy access to Historical Paia, Famous Surf Spots of Hookipa and Kanaha Beach Parks, Jaws, and Paia Bay. It’s very private and has a beautiful panoramic ocean view. The land is lovingly manicured and has fruit trees, various palms, herbs & vegetables, tropical flowers & ferns, AND your own mini pine forest! The fencing, surinam cherry hedge, & bamboo hedge from the main house enhances the privacy. This home boasts a Dickey style roof & has a cement driveway, sidewalks, insulated walls & ceilings, roof exhaust fans, & the land was carefully graded. The newly installed septic is concrete (not plastic) with an over-sized leach field. This home is modern & fresh with 9′ ceilings & many windows for ample natural light & enjoyment of the peaceful country. The kitchen is open & spacious & has a large granite bar that seats 6 and there is also an adjoining dining area. In the great room, a sliding glass door & beautiful french doors open up to the inviting huge covered wrap around lanai that provides seamless indoor-outdoor living & portrays the open space, large lawn, mountain & ocean views, & really expands your space as additional living area. This home is the Ohana of the CPR’d property and has a unit area of just over an acre which is a portion of the entire parcel of 2.963 acres. 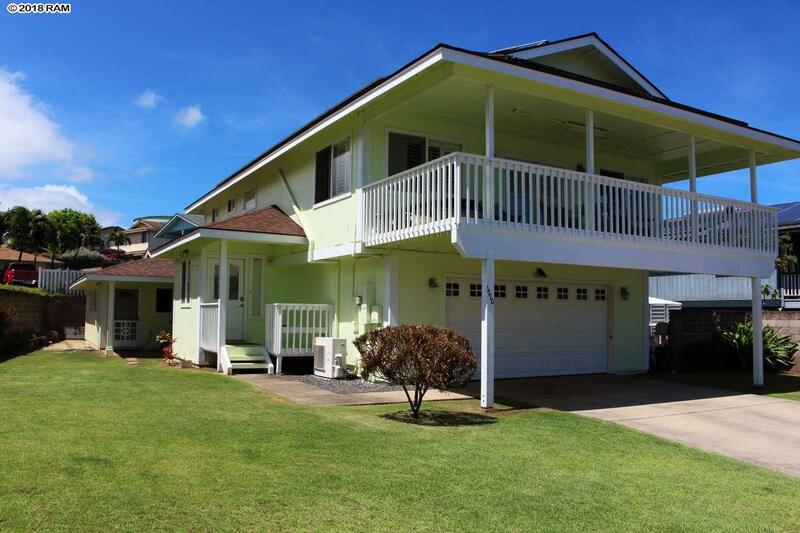 Lovely South Kihei, Maui Home with a great floorplan! The Spacious Master Suite comprises the entire top floor and is 676 SF with a huge walk-in closet and huge en-suite bath of course, but also has it’s own private covered lanai of 120 SF to enjoy the South Maui Sunsets and birds chirping with your morning coffee. Downstairs has a large great room with travertine flooring, custom lighting, remodeled kitchen of granite counters and high end appliances (Kitchen Aid Refrigerator & Bosch Appliance Package), dining area, powder room, 2 spacious bedrooms, and a full bath. The main living area is very quiet being on the backside of the house. The paid off photo voltaic is a fantastic improvement to help cover electric costs while you use your 4 unit-split ac system. Part of the land of this property is it’s bordering gulch which adds significant privacy and a nice touch of nature at your doorstep. This is a great price point for the quality of this home and its square footage of total living area 1,761 SF. Come and take a look and imagine your primary residence, second home or investment property with this unique property at the end of the cul-de-sac in desired South Kihei. World class beaches, golf, shopping, & popular restaurants are conveniently nearby. First Available Date For Showing is June 16, 2017. This is the cutest Waikapu Gardens home with the most desirable single story floorplan that is spacious and flowing and has cathedral ceilings in the great room. There are numerous upgrades that makes this home stand out incl. Imported Brazilian Granite Kitchen Counters and Backsplash, Lighting Under the Kitchen Cabinets, Designer Light Fixtures and Paint, Hunter Ceiling Fans, New Air Conditioner and Range, & Italian Porcelain Tile in the Kitchen and Entry. The exterior shows pride of ownership with great curb appeal of lush tropical landscaping that is low maintenance, but also providing significant privacy and shade. There is Sandstone Tile at the Front Entry & at the Back Covered Lanai, Low Voltage Exterior Landscape Lighting, Blue Rock Wall, and a Vegetable Garden. The garage has a workbench and pegboard tool storage which is included with the sale and this space doubles nicely as the ‘Man Cave’. The back covered lanai is very private and cute too providing a lovely seating area off of the great room where outdoor living is enjoyed & includes a Viking Bar-B-Que. Open House on Sat., 6/10/17, 11a. – 1p. Call your Favorite Realtor for a showing; this home will not last long on the market. A spacious community park with work out area, jogging/walking trail, and large lawn area is part of this special neighborhood. This is the cutest Waikapu Gardens home with the most desirable single story floorplan that is spacious and flowing and has cathedral ceilings in the great room. There are numerous upgrades that makes this home stand out incl. Imported Brazilian Granite Kitchen Counters and Backsplash, Lighting Under the Kitchen Cabinets, Designer Light Fixtures and Paint, Hunter Ceiling Fans, New Air Conditioner and Range, & Italian Porcelain Tile in the Kitchen and Entry. The exterior shows pride of ownership with great curb appeal of lush tropical landscaping that is low maintenance, but also providing significant privacy and shade. There is Sandstone Tile at the Front Entry & at the Back Covered Lanai, Low Voltage Exterior Landscape Lighting, Blue Rock Wall, and a Vegetable Garden. The garage has a workbench and pegboard tool storage which is included with the sale and this space doubles nicely as the ‘Man Cave’. The back covered lanai is very private and cute too providing a lovely seating area off of the great room where outdoor living is enjoyed & includes a Viking Bar-B-Que. A spacious community park with work out equipment area, jogging/walking trail, and large lawn area is part of this special neighborhood.